Are you joining the Filipino diaspora in Kuwait? Some facts about Kuwait on available jobs, culture and religion and Kuwait food help you live like the Kuwait people. These and other facts give you an idea on the life in Kuwait. The country is a monarchy and the Kuwait ruler, called Amir or Emir, comes from the Al-Sabah family. The Amir of Kuwait has the power to enact laws aside from the parliament. For instance, the parliament passed a new labor law granting better rights and conditions to foreign workers in late 2009. Kuwait is about the land areas of Pangasinan and La Union but it has some of the world's richest oil fields. Its proven oil reserves rank fifth largest in the world. They are said to be 10% of the world's reserves. Most Filipinos work in the household sector. Kuwait ranks second as the place to work for OFW domestic workers after Hong Kong. Kuwait people can hire house helps partly due to their per capita income of $81,800 - the fifth highest in the world. OFWs also work as nurses, caregivers, engineers and IT workers. The country needs skilled workers to harness its oil reserves and run other industries such as construction and financial services. Kuwait's small population requires migrants to fill shortage of skills. Its 3.5 million people consist of 68% expats. Other job vacancies will come from the $94 billion City of Silk, the largest real estate project in the Middle East. The project will build a new airport, a large business centre, areas focused on sports, media and health, among other things. 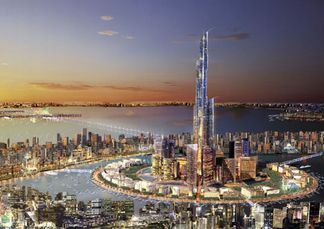 At its center will be the Burj Mubarak Al-Kabir, a tower 1,001 meters high. Kuwait is becoming unsafe for domestic workers. No law applies to limit working hours or set rest days or even basic rights. Employers withhold salaries, force them to work long hours with no days off, deprive them of food or abuse them physically or sexually. The Kafeel or sponsorship system makes matters worse. The system keeps domestic workers at the mercy of employers who sponsor them. They cannot transfer jobs without the consent of their sponsors. A new law said to end the Kafeel system covers skilled workers first. Until the Kafeel system ends, you better check your employment contract. You have a better chance of getting fair working conditions through an agency. You can hold the agency responsible if your employer violates your contract. Kuwait culture is based on Islam, the main religion in Kuwait. It influences architecture, clothing, food and other ways of life. 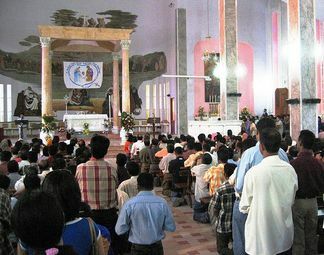 But unlike other Arab countries, Kuwait allows OFWs and other migrants to practice their faiths. The dewaniya is basic in Kuwait life. It is a place apart from the main house and used for male social gatherings. Mostly family members and close friends discuss politics, business and life in these affairs. This affects domestic workers since most dewaniyas start after sunset and last till midnight. Kuwait clothing does not require dress code. Many older Kuwaiti men prefer wearing dish dasha, an ankle-length white shirt woven from wool or cotton. Some women wear abaya, black over-garment covering most parts of the body. But they can wear western-style clothing. Spices form part most of Kuwaiti food. 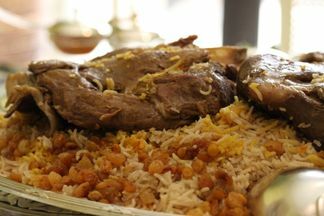 Machboos is a traditional cuisine with spices. It's a blend of South Asian and Persian cuisines. It consists mainly of mutton, chicken or fish placed over or mixed with rice. You can also find seafood as part of the Kuwaiti diet. Kuwait is one of the richest countries among the destinations of the Filipino diaspora. The Kuwait money Dinar attracts OFWs to go there. But working and living there can be a challenge. Get some useful facts about Kuwait to help you adjust.